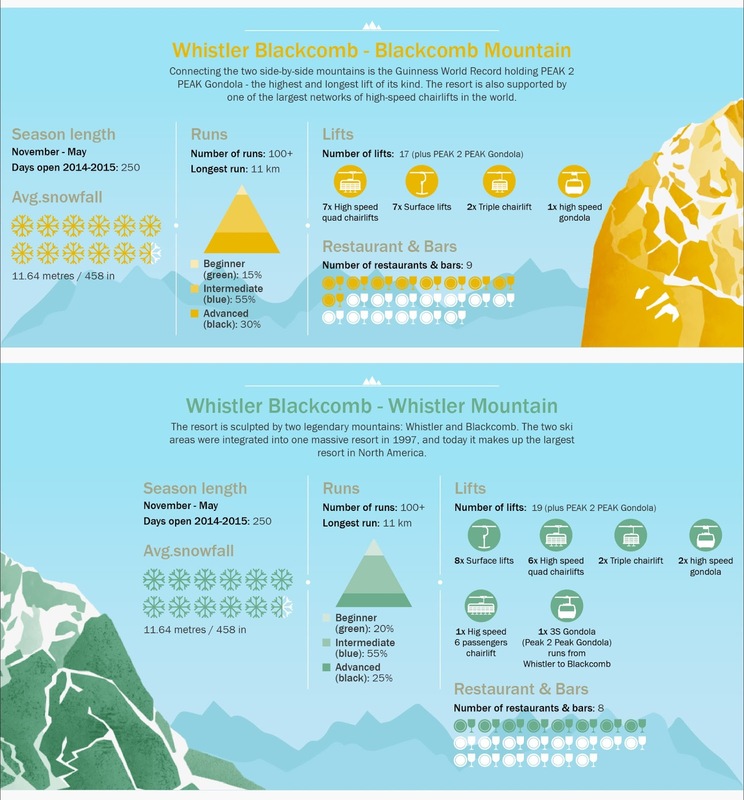 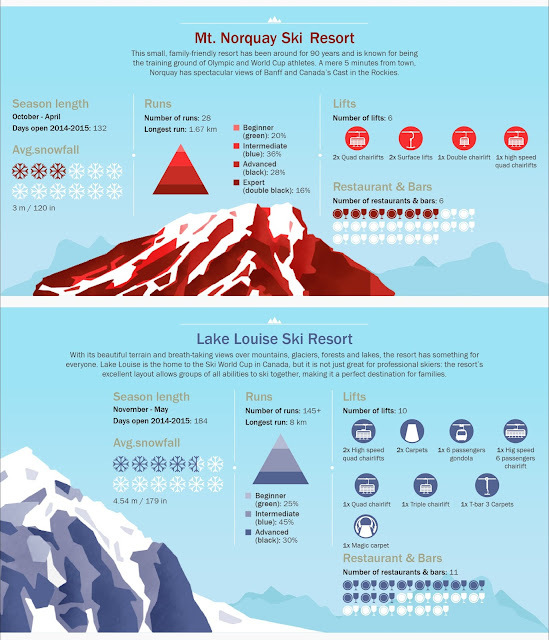 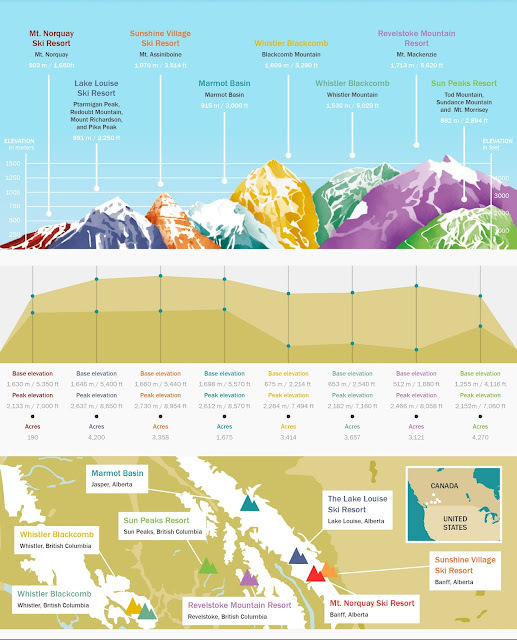 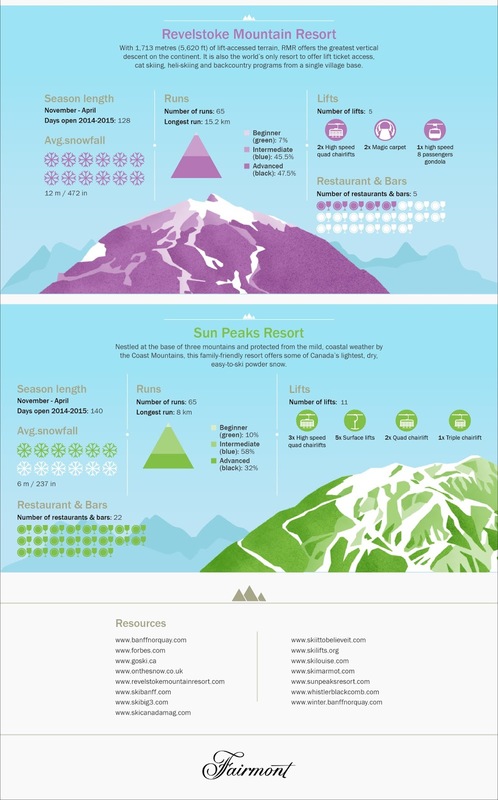 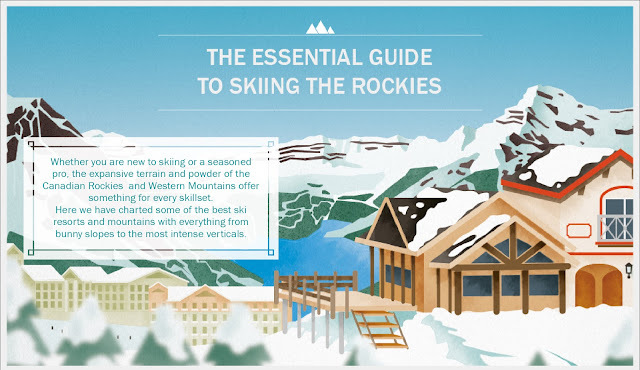 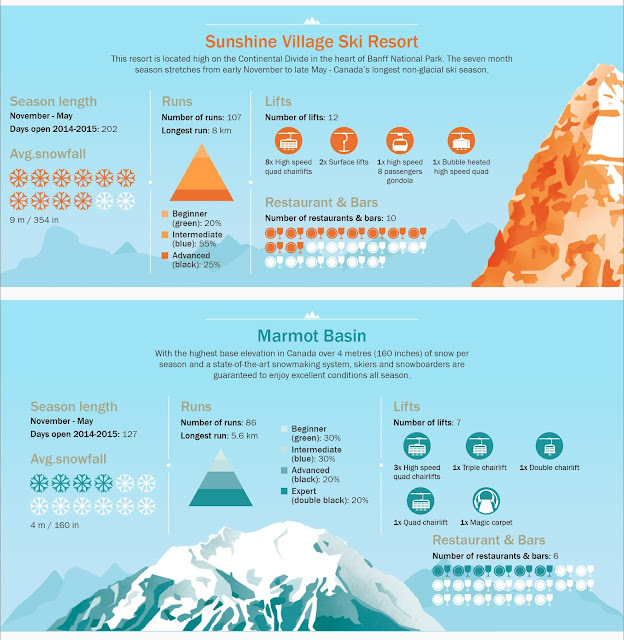 Fairmont Hotels & Resorts has designed a cool infographic titled The Essential Guide to Skiing the Rockies. The chart includes some of Alberta and British Columbia's best ski resorts in the Canadian Rockies and Western Mountains. Click on for an expanded view.